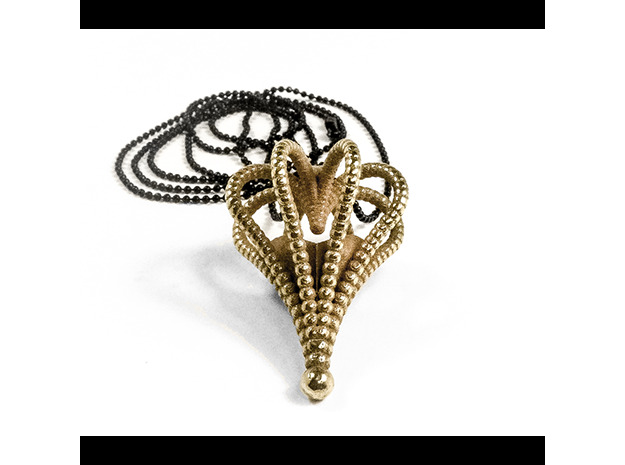 Founded by Ariadne Kapelioti, a scientist-gone-artist, Superlora is the first Greek jewellery brand embracing advanced 3D printing technology. Born in 1984, Ariadne Kapelioti grew up in Thessaloniki, Greece, where she received a BSc in Physics from Aristotle University. After learning the complex art of silversmithing next to a professional in Thessaloniki, she completed jewellery design and fashion contextual studies in London, at London College of Fashion, Central Saint Martins College of Art and Design and Condé Nast College of Fashion and Design. 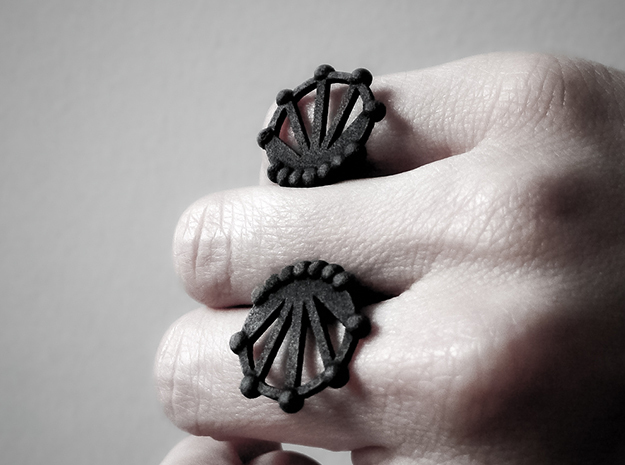 Upon the end of her studies, she founded “Superlora”, the first Greek jewellery brand embracing 3D printing technology. Since 2012, Superlora jewellery projects have been placed at gallery shops and concept stores around Greece, while appearing in a variety of print and digital media. Superlora has participated in art exhibitions and fairs showcasing contemporary Greek design. In addition, Ariadne Kapelioti was honoured to be selected among the 75 designers of Open Design Italia 2015 through an international competition and received the prestigious "A Design Award" in Jewelry, Eyewear and Watch Design Category in 2017. Overall, Ariadne considers herself as a scientist-gone artist or an artist with a scientific approach. Science and Art may appear to be two conflicting subjects, however, they have fundamental similarities; both disciplines require creativity, patience, research, inspiration and hard work. “Science has always ruled my mind and Art makes my heartbeat high!”, she says. Superlora designs are highly influenced by the first costume jewellery era, the fabulous fifties, and feature forms and patterns inspired by Science in small series production. 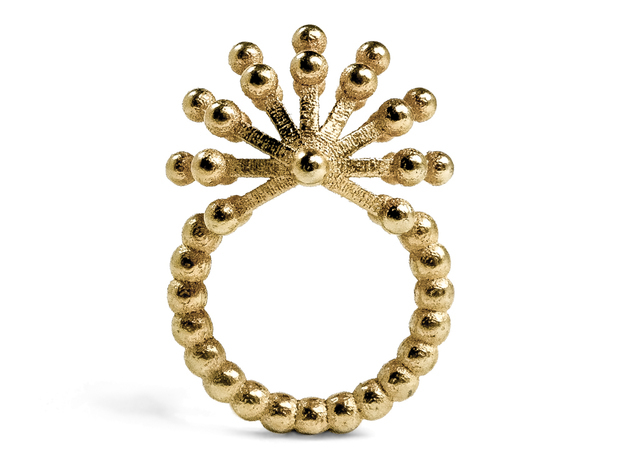 With attention to detail, precision and experimentation, completed using advanced 3D printing technology, Superlora jewellery is large and light, shiny and colourful, playful and quirky. Moreover, Ariadne creates in a conscious way; not only is she following a no leather, no fur policy and strict waste management codes at the studio, but she is also designing jewellery that doesn't follow the trends, only attempt to fit the zeitgeist of the era.